Froggys Fog Beam Splitter Pro Haze is designed for a wide variety of water based Hazers. A very fine veil of airborne canvas is produced exposing light beams with a moderate refraction rate. Beamsplitter is a premium water based haze fluid. It's Formulated to produce a beautiful, translucent canvas of haze with a long hang time. 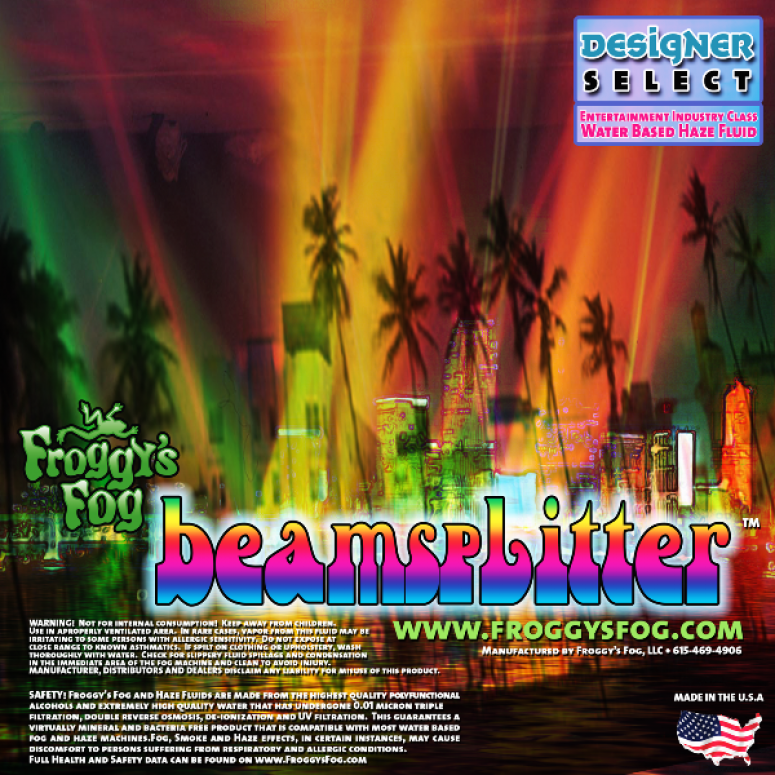 Until you have tried BeamSplitter by Froggys Fog, your light beams will never looked this good. It's perfect for any venue or facility, it's 100% odorless, and is compatible with practically any water based hazer.